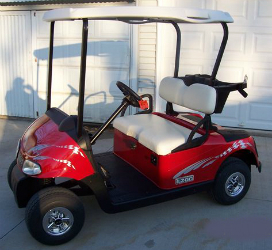 Harmony Golf Carts is owned and operated by Ivan Vreeman. In business since 1994, Ivan was a Chevrolet mechanic for 31 years and selling/repairing golf carts on the side. In 2005, Ivan went into Golf Cart sales and service full time. All the carts are gone thru completely & detailed so they are ready to go.